Structural Nuts and heavy hex nuts are six-sided hex nuts that are thicker and wider across the flats than a same size diameter finished hex nut. 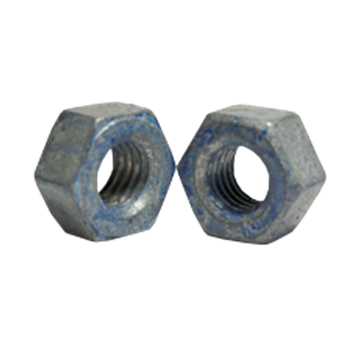 ASTM A563C and DH and ASTM A194 2-H structural nuts are high strength nuts that are designed to be stronger than the bolts assembled with them. See the spec below for more information. RC Fasteners & Components is your source for ASTM A563 and ASTM 194 2-H heavy structural nuts in import or USA made as well as in plain, RoHS compliant zinc, hot dipped galvanized and HDG Blue Dye and wax.